Note: I'm leaving for Canada tonight to celebrate the 4th of July there and had written this post in advance to be posted on Friday, so you would still have your chill music, but Dre emailed me in the Friday mood and wondered where Chill music was, so here you go. You actually need to click through to Dutch's post because he wrote a good one. 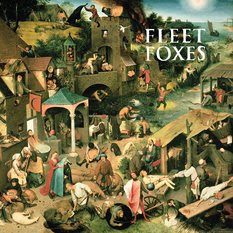 Also, I went to a music party last night and the Fleet Foxes got extensive airplay! Dutch Evans wrote the post I wanted to write on the Fleet Foxes. I'm enjoying them immensely. See Dutch's post here. He gives some tips on what songs to start with. Nice work Dutchy Boy.